The craving for something savoury happened when we did the dessert hopping, but this can happen to anyone, anytime! While we were at it and the sweet did get to my brain, my friend and me decided to get into the savoury mood and that is when we had these! Since we were at EST, Hilton for the last stop of the dessert hop and since my cousin told me to try the Bagel with cream cheese and salmon, I decided to try it. I love bagels and I love cream cheese and I love Salmon, so this was a no brainer, despite the others not offering to share it! And it came! Well, it was poorly presented and for the price of Rs. 650, I certainly expected it to be presented much better, but the amount of salmon inside, more than made up for the poor presentation. 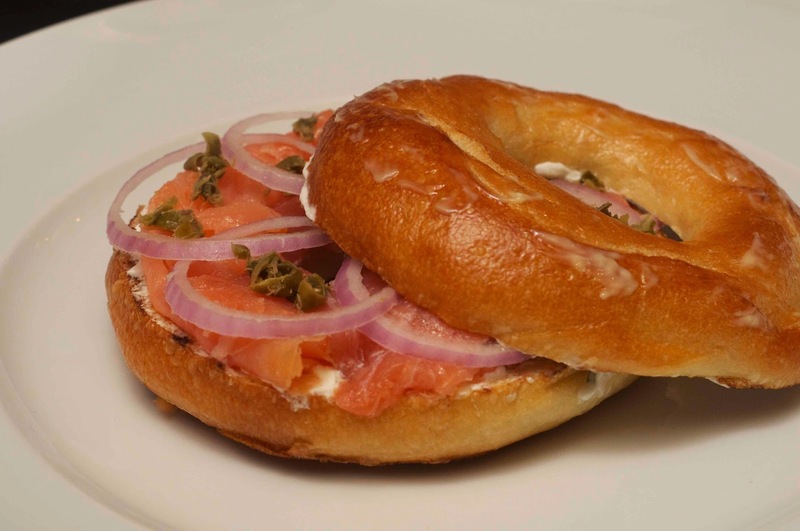 The bagel was nice and chewy, the way it should be and the cream cheese was just about right, but the amount of salmon was winner. And then while we were driving back home, my friend had his sweets hit his brain and he demanded that we eat something savoury. Yes, I had a I-told-you-so moment and at midnight, we didn't want to go another hotel, so decided to try a home delivery place and so ended up at Shaack, Anna Nagar. The other end of the spectrum, we ordered a burger and for the price of Rs. 180, it was pretty big and a good portion of french fries. 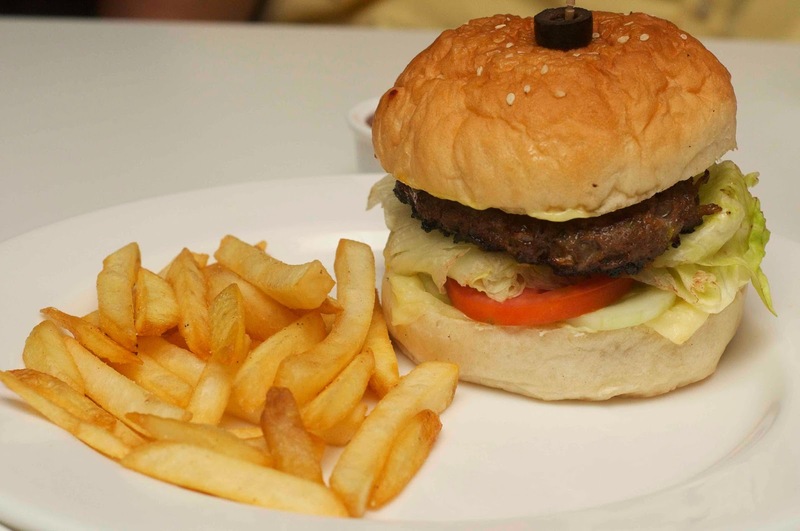 The burger was super juicy and finger licking good and super value for money! So a five star bagel with cream cheese and salmon and 5 star prices and a fantastic burger at pocket friendly prices on the same day! Both were great!!! And so was the night!!!! EST, is the 24 hour coffee shop at Hilton and Shaack is a great continental restaurant by the day and a saviour for those who want a good meal at night, located at Anna Nagar, near Chintamani signal.